SHE became a teen superstar playing wise-cracking redhead CeCe Jones on Disney Channel’s Shake It Up. Now feisty 16-year-old Bella Thorne has graduated to the silver screen – she plays the daughter of Drew Barrymore’s character in the romantic comedy Blended, due for release later this year. It also stars Adam Sandler and was filmed in part at Sun City! - She’s an animal lover and has six cats, two dogs (one is a wolf-dog hybrid) and a turtle. 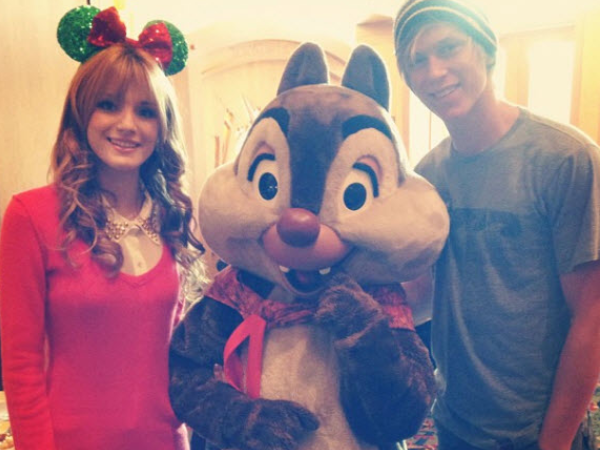 - She adores her boyfriend, Tristan Klier (17). They often post romantic videos and pics online and have a puppy together. Awww! - She’s still besties with her Shake It Up co-star Zendaya. “I will always love you,” she posted along with an old picture of them on Instagram.